The Water Quality and Investigations team within the Department of Environment and Science (DES) are responsible for water quality monitoring in the majority of the east-coast Queensland Rivers. The analytics and reports generate insights for the Qld State Government into the sources of pollution, and trends in quality over time which informs state policy development to maximise environmental returns from investment. To gather the data, DES install and maintain a network of 68 monitoring sites across the state, including a mix of automatic water samplers, physio-chemical sensors (e.g. nitrate trace, turbidity, electrical conductivity and dissolved oxygen), and manual sampling locations. 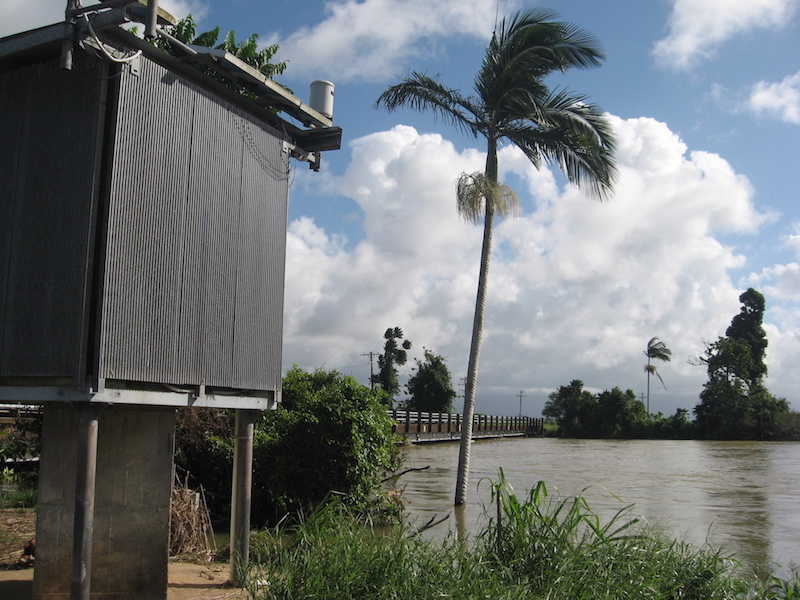 Image 1 Water Quality Monitoring Station – Tully River, Euramo. Before eagle.io, the data generated from sensors and analytical results was being manually downloaded by a dial-up modem. This data was not readily accessible to stakeholders. Data input required manual parsing of data from lab and sensor formats to a standardised format. This process was time-consuming and introduced data quality risks. Once saved locally, stakeholders could only be shared as .csv exports which were not user friendly, or static charts generated in excel which did not update with new data. Identification of water quality issues (from trends or acute exceedance) required manual interrogation of data, which often meant that issues were only identified after the fact. 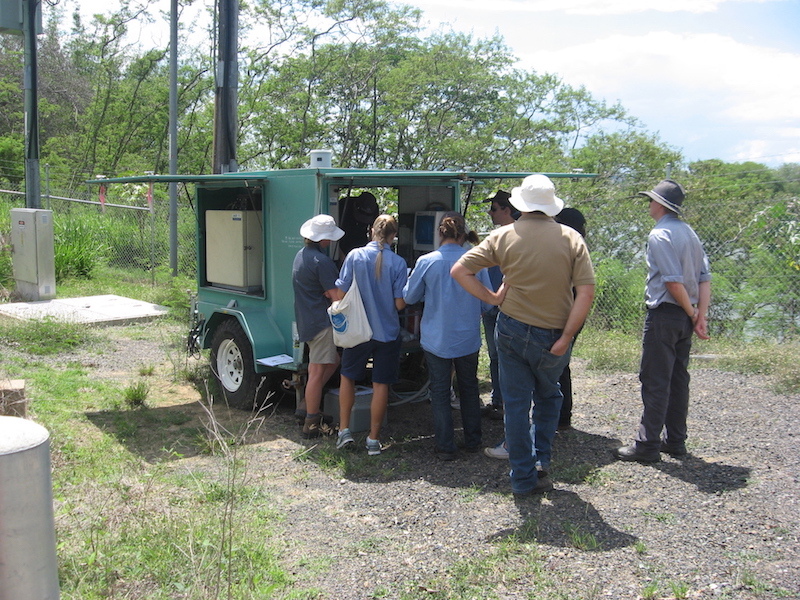 The management of the network of loggers, and the programs that ran on them (which define things like sample rates during flow events) required individual connection to devices in the field. There was limited transparency on the status of devices, and making changes was labour intensive. The inability of the software provided by the manufacture to manage devices on a batch basis (to deploy software updates or control output signals) meant that management of the hardware was a full-time job. It was difficult to keep track of device health data like battery level, sample temperature, and keeping track of when automatic samplers had triggered (and needed collection). This often resulted in the department being unaware of hardware issues coming up to important flow events, and lost data. DES subscribed to eagle.io, and now uses the platform for remote device configuration, data historian, visualisation and sharing and server side processing of data from sensors, laboratory and third party (BOM) data published to the web. The department has over 200 data sources configured on the platform and is rapidly expanding its network. Real time insights – Laboratory data is now automatically ingested to eagle.io for visualisation and alerting as soon as it is released from the department. The parser deals with data format issues, like the treatment of values below the limit of reading, which are identified with a “<” prefix to any value. The real time insights can be securely shared with hundreds of stakeholders, both inside and outside of DES. Calibration of Sensor data – Eagle.io is soon to be used to pilot a rolling calibration of turbidity sensor data against laboratory Total Suspended Solid (TSS) data. This calibration allows DES to accurately estimate TSS in real time from Turbidity Sensor data, and to use this calculated value to calculate daily loads in real time. This same calibration method is also used to train other sensors (e.g. nitrate trace) to more accurately estimate loads of other contaminants discharging from the states waterways to the reef. "We use Campbell Scientific Instruments and data loggers throughout our monitoring network. We’ve previously relied on LoggerNet to individually connect to loggers in the field. Eagle.io’s ability to remotely connect to CSI loggers has reduced the administrative load associated with this device management. We estimate that this single feature has resulted in a time saving of 1 full-time equivalent person per year. The eagle.io CSI interface is so robust; technicians will choose to use the web interface to interact with the logger, even when they are standing beside the device in the field. The ability for eagle.io to process and transform raw data, like the calculation of real-time daily loads of pollutants discharged, will be a game changer for us. DES will be one of the first organisations in the world to accurately measure real-time pollutant loads in waterways, and eagle.io is the technology that has made this achievement possible. Although we consider ourselves intermediate operators of the eagle.io API, we’ve been impressed with its ability to achieve a high level of customisation. 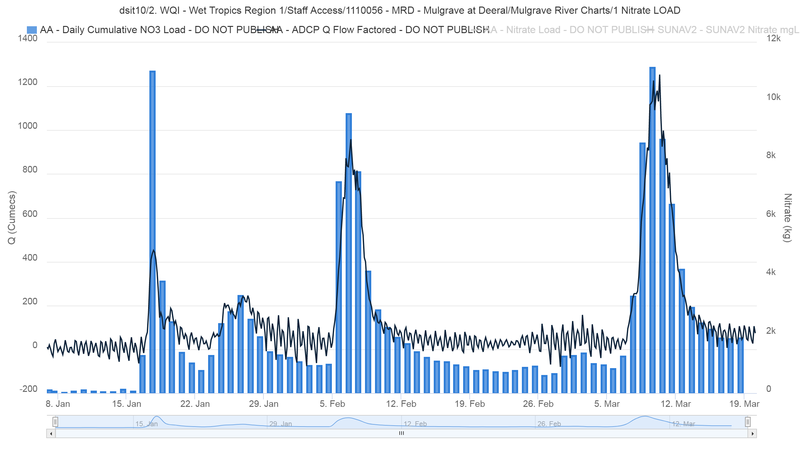 The ability to publish our historic and current sensor data to Esri webmaps / Qld Globe using the API is a simple and powerful tool that is available to communicate our data insights widely in the community that we are exploring. We are looking forward to the ability for new features planned to be delivered by eagle.io team in the coming quarters, including the public dashboard feature which will allow us to publish interactive dashboards on our own websites, and the data editing feature allowing DES to correct and quality code data using visual tools. Prior to subscribing to eagle.io we explored alternative products offered by global software firms that have been operating in this sector for decades. Our decision to proceed was based primarily on the feature offerings of eagle.io, but their price point and the ability to subscribe on a flexible monthly basis that scaled up with our needs was also highly attractive."